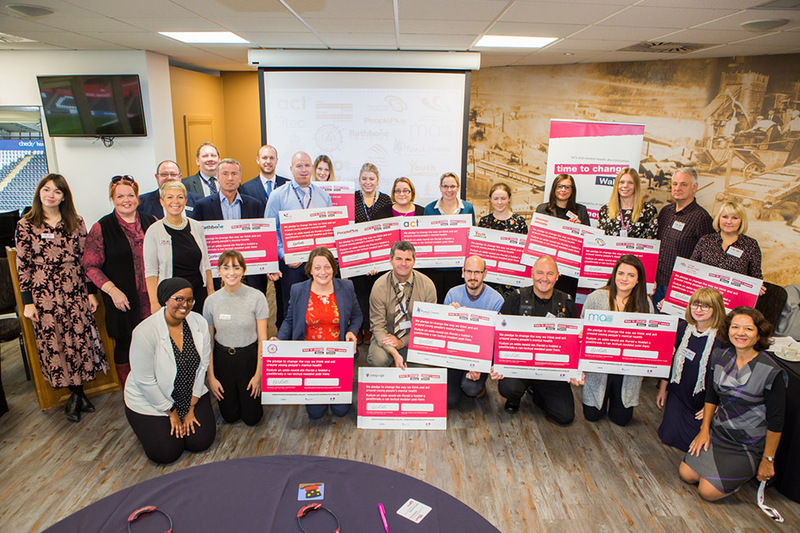 Sixteen youth-focused organisations including colleges, training providers and charities gathered at a special Time to Change Wales event on Monday 8 October to pledge their commitment to supporting young people’s mental health. Held ahead of this year’s World Mental Health Day (10 October), the event saw the organisations get together at Swansea’s Liberty Stadium to sign the Time to Change Wales Young People’s Organisational Pledge – a public declaration that they want to support young people by stepping up to tackle mental health stigma and discrimination. The Children’s Commissioner, Sally Holland, whose office was amongst those signing the pledge, opened the event. 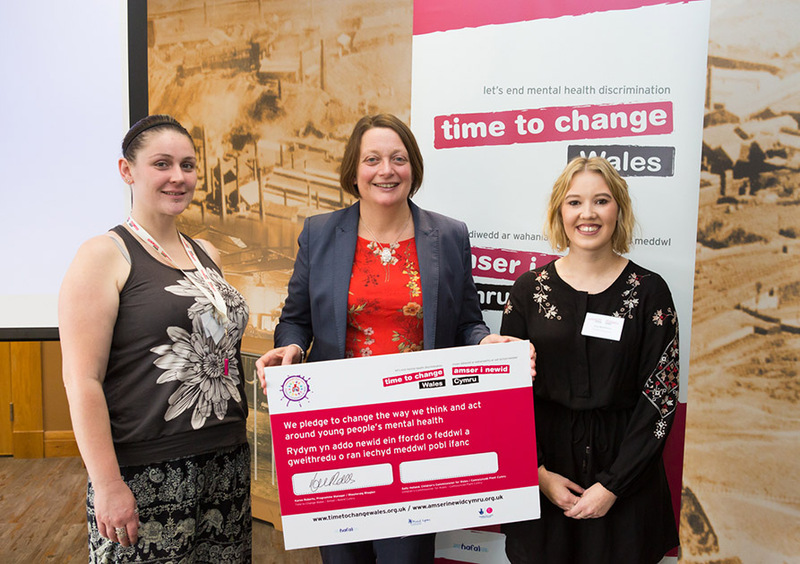 Time to Change Wales is the first national campaign to end stigma and discrimination faced by people with mental health problems. 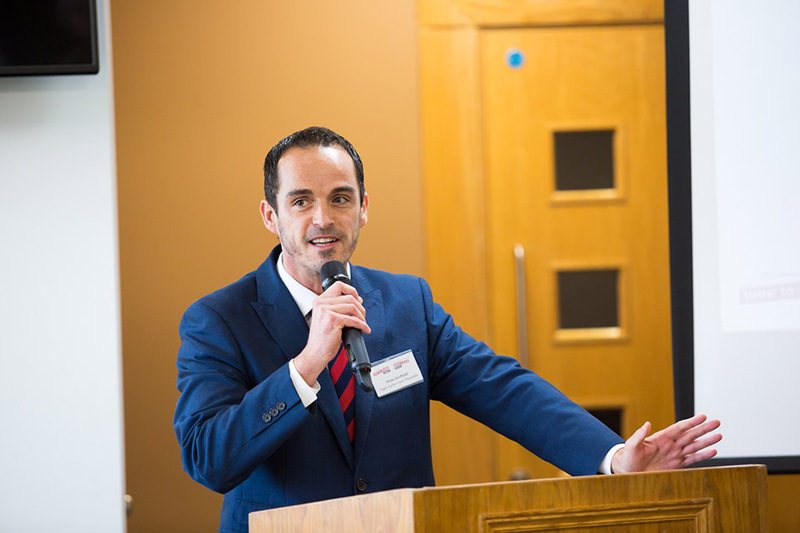 Its Young People’s Programme, a three-year pilot scheme funded by the Big Lottery Fund, aims to help young people feel more comfortable talking about their mental health by improving awareness and understanding. In addition to the pledge signing, guests at the event heard from two Time to Change Wales Young Champions, Jess Matthews and Izzy Stevenson, who shared their inspiring stories of speaking openly about their mental health, and Osian Griffith, Assistant Headteacher at Ysgol Gyfun Cwm Rhondda, talked about the effect the school has seen from working with Time to Change Wales.